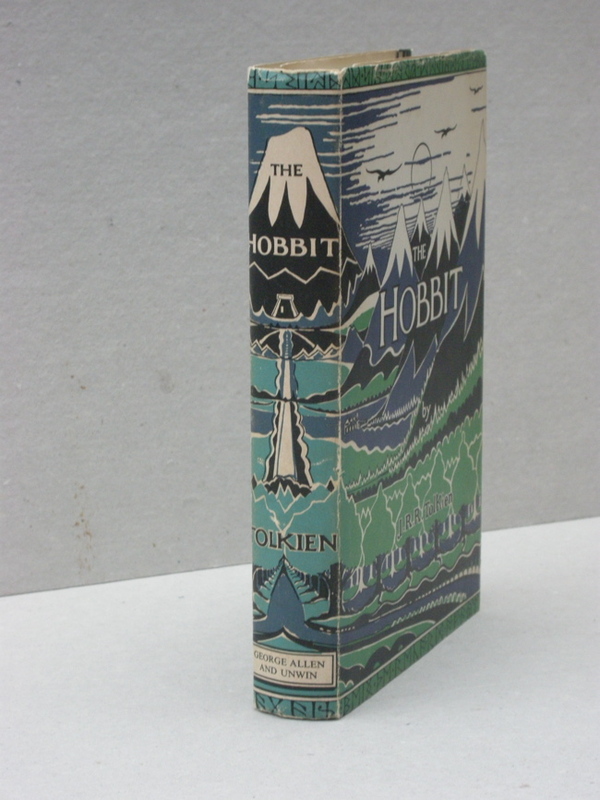 #CLP0044 - 1954 6th UK Hobbit in later dust jacket - € 500,- The 2nd impression of the 2nd Edition, or 6th impression overall, published in 1954. Scarce in any condition. 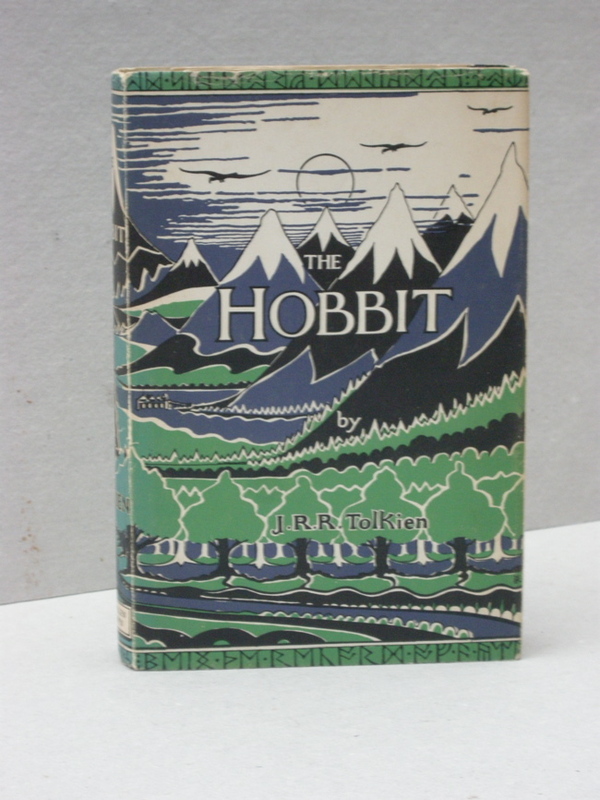 A fine copy of an early printing of The Hobbit. 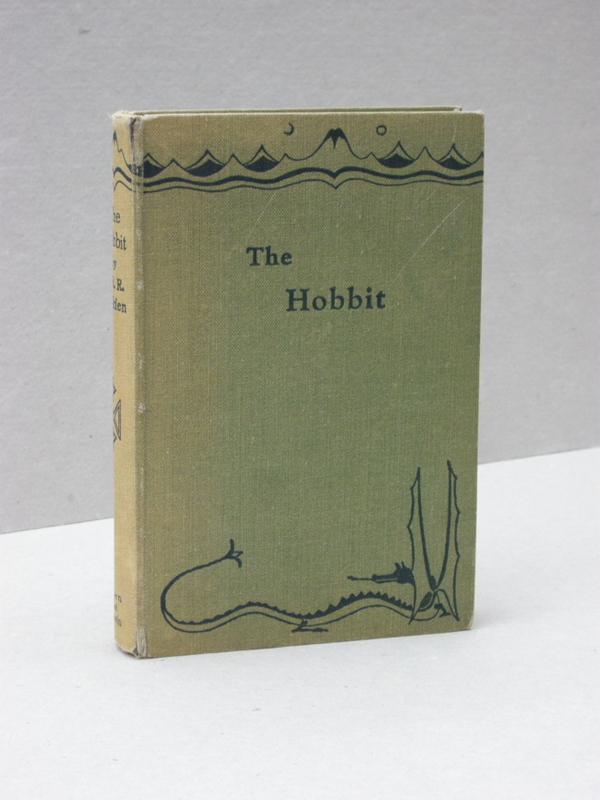 The 1954, 6th overall printing, or the 2nd printing of the 2nd Edition (1951). 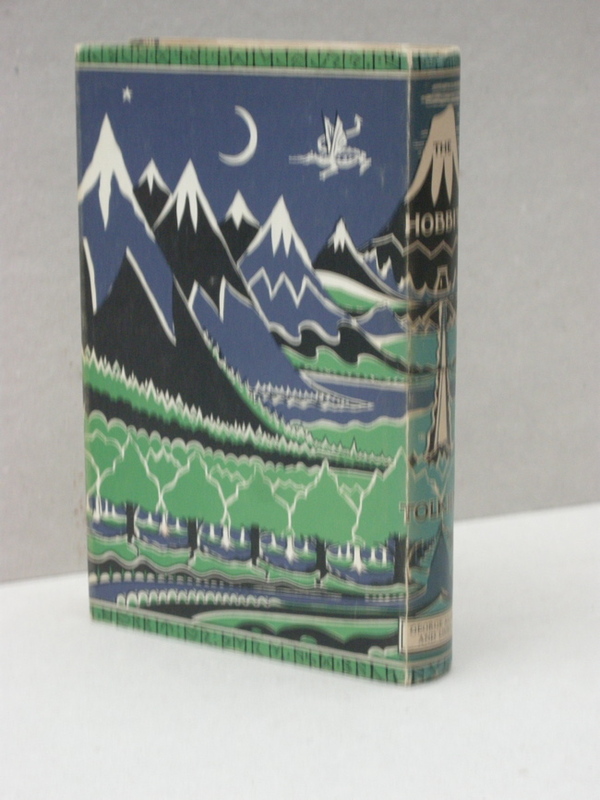 This copy is a stated 6th impression on title verso, published by Allen & Unwin. 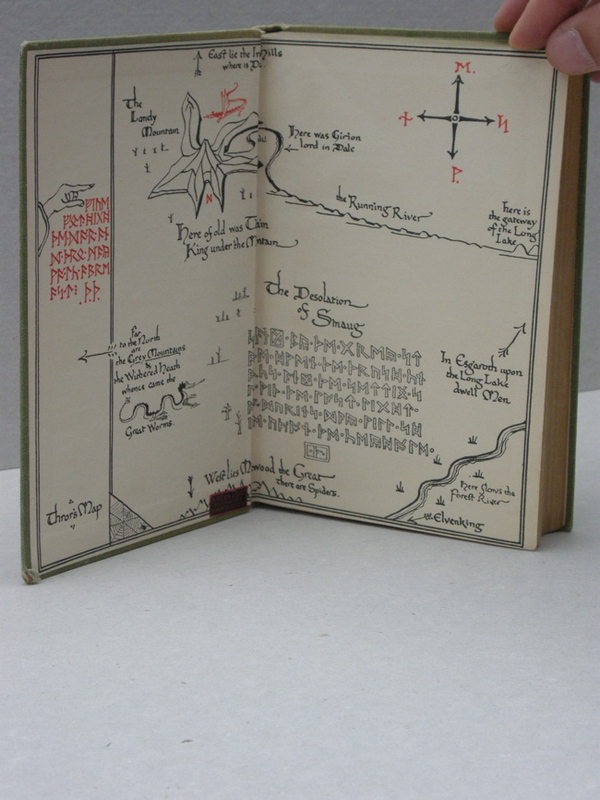 The book features the original Mountains and Dragon design by the author. The boards shows minor soiling and marking. Spine has faded and shows shelfwear. 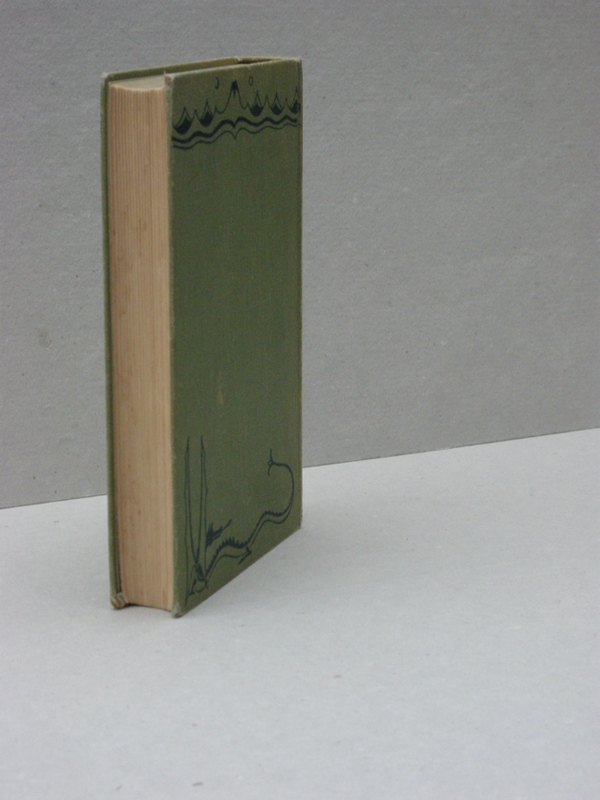 Bottom and top of the spine shows rubbing and cloth has been damaged to the edges. 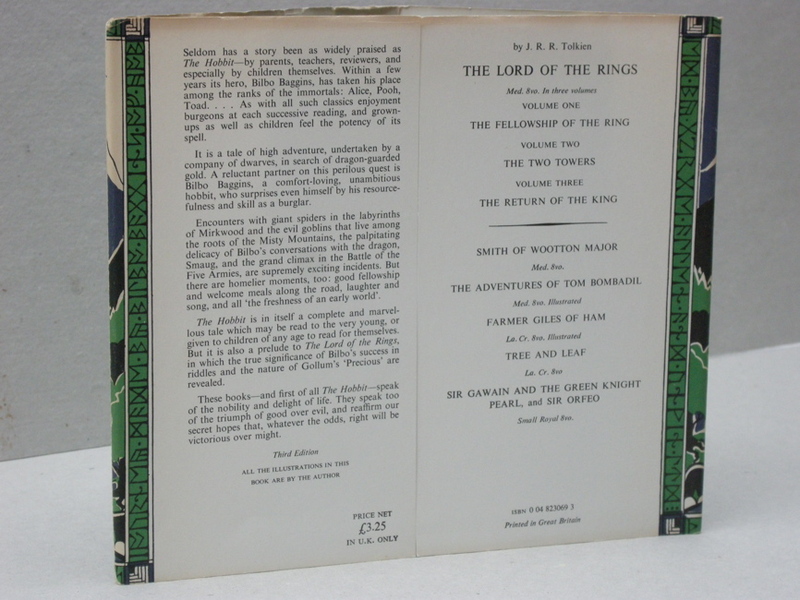 The text block is clean, without foxing. There are some lighter stains on several pages. A small bookseller sticker on the front map (A.H. Esch & Co Ltd. Booksellers Edmonton Alberta. 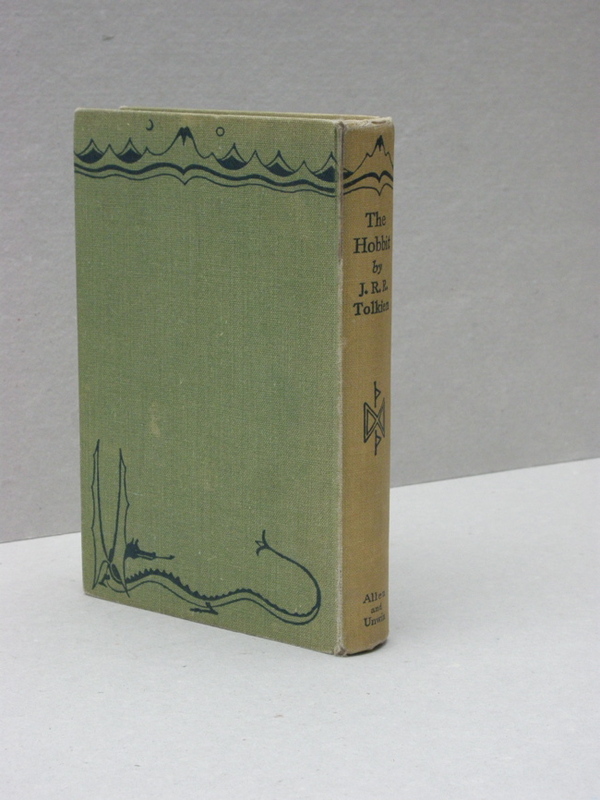 Lacks the original dust jacket, but is housed in a fine 3rd edition jacket. Both maps have no foxing, no marks, or previous owners names. 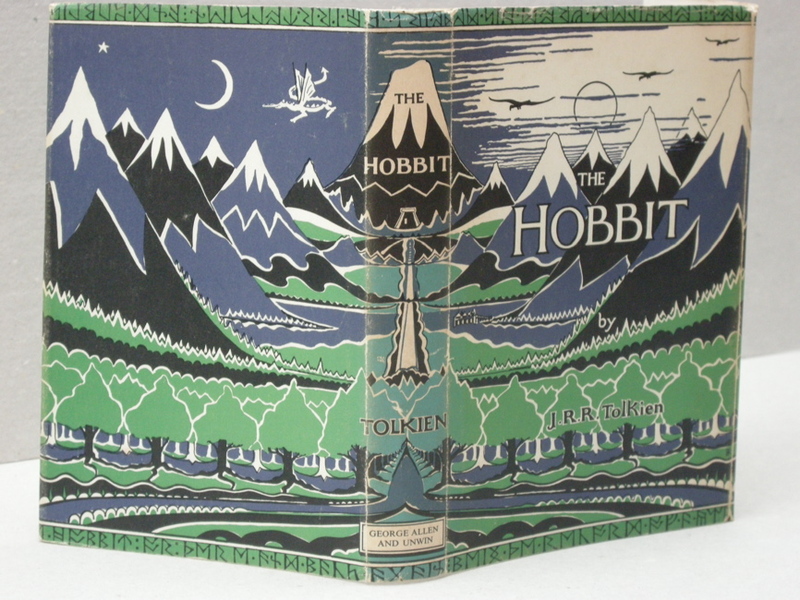 A highly collectable copy, hard to find in any condition.